Via Sport is an organisation that benefits children without access to adequate sports infrastructure, women without access to sport opportunities, and people with physical disabilities through the sports programs and training we provide. Unlike the many other international development and sustainable tourism programs, Via Sport has a proven track record through its high quality research and evaluation of sport programs. Our vision is to create social impact by creating a healthy, happy and inclusive society. Via Sport's mission is to create impact through sport by providing access to sports infrastructure to schools and communities. We encourage women's equality, disability inclusion, and cultural exchange. To shape social norms towards women's participation in sport. To create an inclusive culture for people with physical disabilities. Raise the percentage of sports participation for women and people with disabilities by 20%. To provide sports infrastructure to schools and communities. The current goal is at least six schools by 2018. To create new opportunities for Indonesian students through leadership roles, prizes and awards. Create stronger institutional links while hosting volunteers and students. Create programs that allow volunteers to make a proven impact in the communities we visit while enjoying everything Bali has to offer. We are looking for highly motivated students and volunteers with an interest in empowering youth and building stronger people-to-people links. 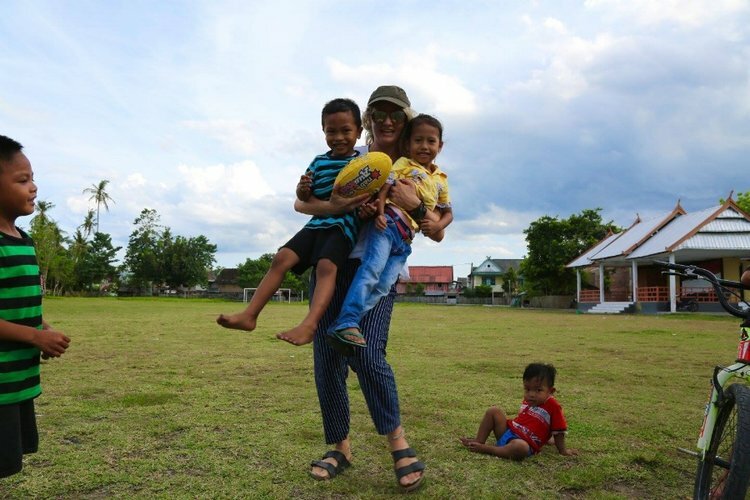 We plan to run an extensive program from January 2018 in Denpasar, Bali, Indonesia, aimed at building connections with local high schools and primary schools. Our team consists of young professionals dedicated to developing cultural links through sport in the Asia-Pacific region.